The Sean McVay Effect is real — and it's only the latest in a long line of reasons NFL owners are passing on qualified minority coaches, says Rob Woodfork. WASHINGTON — The NFL’s annual game of musical chairs is winding down, and so is the number of viable excuses for the lack of diversity within the head coaching ranks. Five of the eight coaches fired this year were black. The Miami Dolphins are reportedly focused on hiring Patriots assistant coach Brian Flores when New England’s season ends, which would be the lone hiring of color in this hiring cycle, and which would leave the NFL with just four minority head coaches out of 32 such jobs — the lowest number since 2013. The Sean McVay Effect is real — two of the 32-year-old wunderkind’s under-40 assistants (Matt LaFleur and Zac Taylor) are slated to get head coaching jobs this season — and it’s only the latest in a long line of reasons qualified minority coaches have been passed over. For years, there weren’t enough of minority assistants. Then they were limited in what positions they could coach. Now, all NFL owners want is a young coach that works closely with quarterbacks, actual relevant experience be damned. What’s happened in Arizona is the most alarming example of that trend. Kliff Kingsbury had a brief pro career as a journeyman QB, but has never coached a down of NFL football. His only head coaching experience is his six-year stint at Texas Tech, which yielded only a 35-40 record that included just 19 conference wins and 13 victories against FCS competition and lower tier Group of Five schools. But because he vaguely resembles McVay (and maybe sorta knows him), Cardinals brass is all too happy to have him. Yet this is the same franchise that fired a far more qualified Steve Wilks after only one season. While his 3-13 campaign was the league’s worst in 2018, we’ve seen white coaches starting a rookie QB and sending 17 players to injured reserve get far more leeway. Will Kingsbury be fired after one season if the Cardinals go 3-13 again? I seriously doubt it. As if the overemphasis placed on access to the quarterback weren’t enough, there’s way too much made of coaches who call offensive plays. As I stated early this season, play calling is a good and useful skill for offensive coordinators but for a head coach, it’s far more important to be a good leader for an entire football team. McVay’s play calling and stunning recall is great, but the real reason the Los Angeles Rams are on the cusp of a Super Bowl appearance is because he is able to delegate and game plan with the best of them. That’s why it’s egregious that Eric Bieniemy won’t land a head coaching gig in 2019. 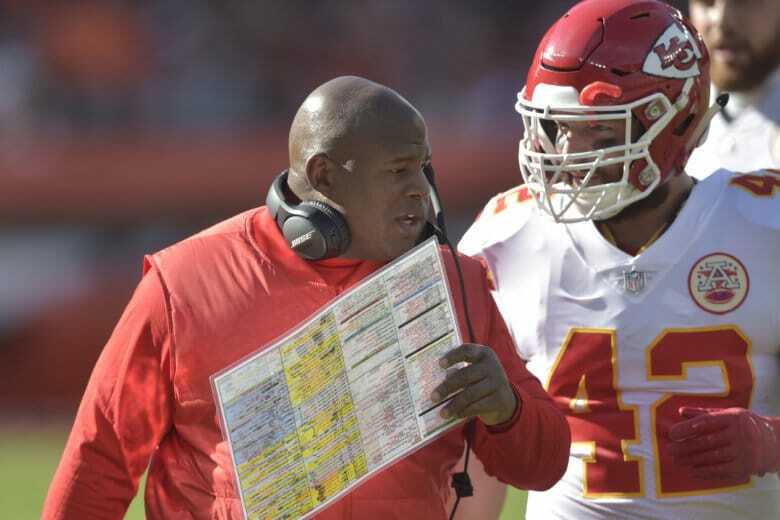 The Kansas City Chiefs offensive coordinator landed three interviews after the regular season, and should be a hot ticket considering he is at the helm of the offense that generated the most points and yards per game this season. None of the reasons his players gush about how much he means to the Chiefs’ success is mitigated by head coach Andy Reid being the play caller. Of course, even by flawed current practices, minority coaches are coming up short. H.D. Woodson grad Byron Leftwich has more experience as an NFL QB coach and offensive coordinator than Kingsbury and Freddie Kitchens combined. Yet no one has turned to him for a head coaching interview, and as the new OC in Tampa Bay, his success depends on whether he can resurrect Jameis Winston’s middling career. Even then, will he get the credit, or will it go to head coach Bruce Arians, like it does to Reid in Kansas City? What about Jim Caldwell? He took the Indianapolis Colts to a Super Bowl and led the woebegone Detroit Lions to multiple playoff appearances, but has yet to receive the serious consideration for a third NFL job that the less successful Norv Turner and Wade Phillips got in the past. Hell, new Jets coach Adam Gase had a losing record in three seasons in Miami but only had to wait 11 days to get a second job in the same division. The understated reality of coaching hires in the NFL is that the vast majority of owners have no idea what they’re looking for. According to Jim Trotter of NFL Media, there have been 129 head coaching changes since 2000. Of those hires, 54 were fired in three years or fewer, 32 lasted two years or fewer, and 11 couldn’t even get beyond one season. Thus, the practice of hiring the hot coordinator or the “quarterback whisperer” isn’t working out as well as advertised. Furthermore, there are statistics that support the notion that owners are far less patient with coaches of color under similar circumstances. Complicating matters, a significant number of these owners preside over dysfunctional franchises. Think: Art Shell in his second stint in Oakland and Dennis Green in Arizona, despite having success in previous years. So if finding the next McVay or Bill Belichick is such a crapshoot, why not take a chance on qualified up-and-comers like Bieniemy, Flores and Kris Richard? After all, the two winningest active head coaches with more than two years experience are Belichick and Mike Tomlin — neither of whom has coached quarterbacks or called offensive plays, yet both have taken their team to multiple Super Bowls. The NFL needs to move away from trends and fads and focus on what matters — finding the best man for every job. And then it needs to figure out why that process tends to exclude minorities. 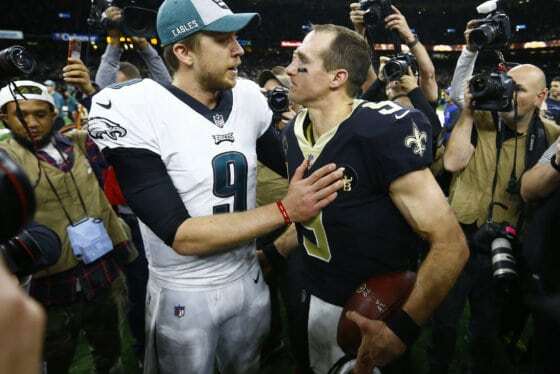 A high school reunion, a virtual certainty, friendly fire and the destruction of conventional wisdom headline the NFL Divisional Round Recap.